Save the Kooskia Opera House for Lee Morse! on behalf of the Lee Morse fan community. 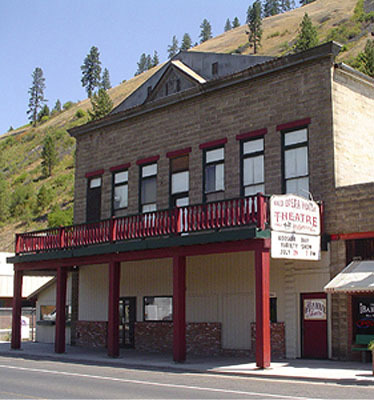 This letter is meant to serve as an urgent plea to those who control the fate of the Old Opera House Theatre in Kooskia, Idaho. 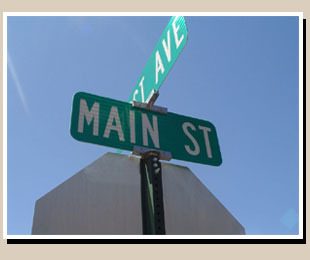 As a cultural focal point, it has provided loyal service to the community whenever called upon ... But, as an historical landmark, its significance may not be fully appreciated to the extent that is deserved. In 1912, the newly constructed building was simply known as the Kooskia Opera House. 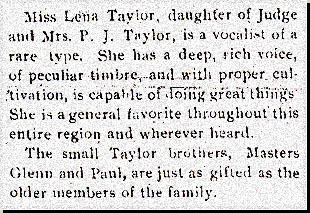 In those first years of its existence, its stage provided a nurturing proving ground for a young lady, Lena Corinne Taylor, who would later rise to fame as one of the Jazz Age's most prolific recording artists, Miss Lee Morse. Only a handful of structures connected to Lee Morse still exist anywhere in the country and the Old Opera House Theatre building on Main Street is, perhaps, the finest of them. According to the biographical data currently available to us, this building is one of her earliest known performance venues still in existence. 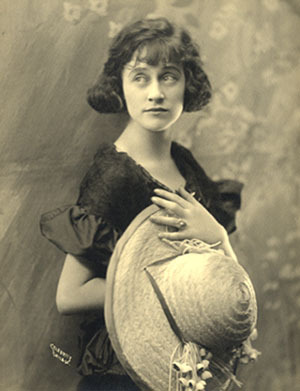 Lena, born in 1897, was only fifteen years old when she first graced the Opera House stage in Kooskia, although she had already been singing in public for twelve years. The local audience immediately recognized and appreciated her extraordinary singing talent. In turn, such enthusiastic encouragement must have given further support to Lena's professional ambition. In some measure, we have the Kooskia Opera House stage to thank for her catalog of 200 exquisite Jazz recordings, unparalleled by any other. The opera house has served many purposes in its 95 year history but, thanks to the heroic efforts and personal energy of its current owners, it was restored in 1994 and put back into theatrical service for the first time in seven decades. By doing so, the memory and cultural significance of this Kooskia landmark will not be lost to a new generation of patrons in the Clearwater Valley and beyond. If the Kooskia Opera House building enters into a new era of neglect and repurpose, it may not survive long enough to see its second rebirth as a theatre. If regarded solely as a commercial venue, and not as an historic treasure needing protection, it's age may bring such serviceability into serious question. The temptation to replace it with a modern structure with modern amenities may prove too irresistible for a new and indifferent owner. Such a bottom line would represent a tragic loss and an unaffordable sacrifice to the history of Kooskia and, in turn, the professional memory of Miss Lee Morse. Lee Morse, the popular Jazz Age songbird, was born Lena Corinne Taylor on November 30th, 1897. 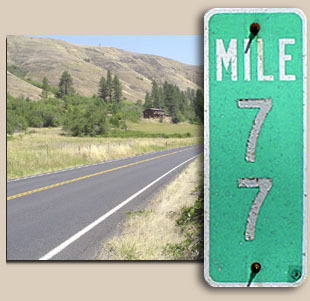 In 1908, when she was eleven years old, her family moved to Kooskia, Idaho and settled on a farm at the Middlefork of the Clearwater River near Maggie Creek. The photo above shows Lee posing with members of her family in front of the family-owned Blondin Bros. Circus train car in Kooskia. This photo was most likely taken in 1912, the same year that the brand new Kooskia Opera House was erected. Lee was no stranger to show business at this point in her life since she began performing in front of audiences at the age of 3. One can only imagine her excitement about a community opera house being built at the very same time that her incredible singing talent was coming into full flower. The timing could not have been better! ... Until recently, it was simply an obvious assumption that she had performed regularily at the opera house. But hard evidence has now proven this assumption to be true. We have found several microfilm pages from "The Kooskia Mountaineer", the local weekly newspaper during that period. In July/August, 2006, I took a research trip to Kooskia and shot some (very amateur and somewhat repetitive:-) video of my time there. Please note that this video was taken EARLY during my visit. 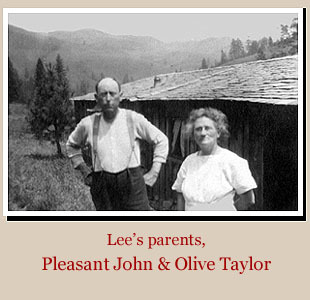 A few of the videos state, incorrectly, that Lee lived in the area from 1908-1920. Subsequent research has revealed that she actually left the Kooskia area in 1915 and went to Wallace, a small mining town in the northern part of Idaho. It is not known yet how long she stayed in Wallace ... but we do know that she gave birth to her son, Jack, there in 1916. When listening to Lee's voice, you can hear the full range of cultural influences that gave it birth -the dust and grit of a lonely mountain trail, the spark and crackle of a gypsy campfire and the playful chirps and warbles that echo throughout a canyon valley. And, since she started her singing career in promotion of her father's ministry, there had always been a subtle undertone of fire and brimstone as well to punctuate her performances. These were all the qualities that she inherited from her rustic upbringing. But, when Lee found her own way in 1920, she left the mountain campfires behind in favor of big city nightclubs and neon. Despite her conversion to an urbane lifestyle, Lee did not replace her fundamental singing style, she complimented it. She let the new influences of popular Jazz, blues and torch singing integrate seamlessly into her Vaudeville repertoire to sand down its sharper edges. Her hardscrabble past lent credibility to her blues delivery and provided an authenticity that delighted countless audiences throughout the Roaring 20s. But the foundation of Lee's voice came from her childhood. Some may call it "Hillbilly", or "Southern", or "Western" ... but whatever you want to call it, it originated from places like the Clearwater Valley. For this reason, I decided to create a special video songbook that allows the listener to experience Lee's music in the context of her young teenage life in Kooskia, returning her voice to the Clearwater Valley. In my opinion, this is the BEST place to listen to a Lee Morse recording, the three mile trip into town and back between mile markers 74 and 77. Apart from today's modern highway, this is what the route would have looked like to Lee as she made her way to school each morning either by foot or on horeseback. Her robust singing voice, echoing throughout the canyon walls provided the same service as a school bell! Oh Boy, What A Girl! It's long past time to rescue Lee Morse from the shadows of the past, and to shine a bright footlight back onto her extraordinary and largely forgotten contribution to the Jazz Age. The Kooskia Opera House is one of the last remaining structures connected to her past, and is, perhaps, the most important. There is only ONE Kooskia Opera House. If it gets repurposed, or torn down, that history will be lost to us forever. If you consider yourself to be a Lee Morse fan, I am asking you to take a few minutes to write a short letter, or even just a simple paragraph to indicate your support in preserving the opera house as it stands today -as an active theatrical venue for local talent. Just follow the suggested content and format of my own letter at the top of this page. If you have indifferent feelings towards the opera house itself, perhaps you can just focus your thoughts in regard to the importance of Lee's contribution to the Jazz Age. I will then collect these letters and publish them here if permission to do so is granted by the author. Return to this website often to review the ongoing letter contributions and news updates. Further suggestions for the more seriously inclined: Stay tuned! The Greater Kooskia Chamber of Commerce is currently considering a potential plan to purchase the opera house building from the current owners and to, hopefully, operate it as a for profit organization. This will allow interested parties to purchase shares in this venture and to invest in the future of Lee's opera house going forward. I will stay in close communication with the Chamber of Commerce and update this website with news as it is warranted. Please use "KOOSKIA OPERA HOUSE"
as the subject line title so that I will not accidentally misidentify your email as spam. This will also allow me to direct the email into a dedicated folder.